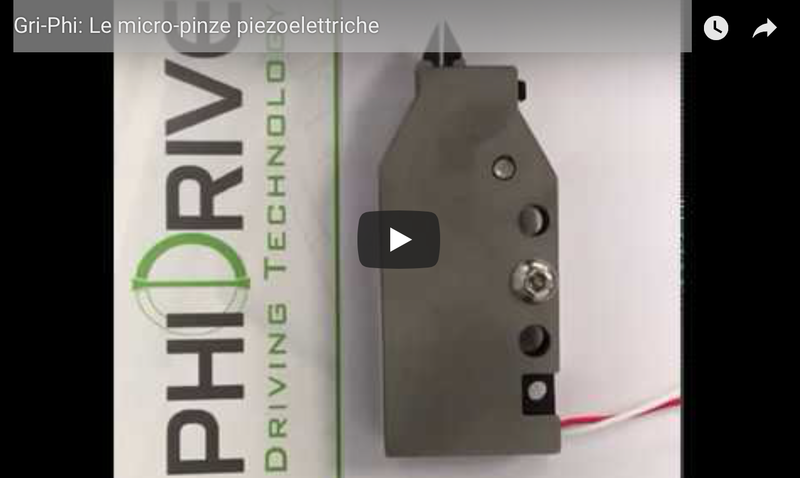 Phi Drive presents the new GRI PHI GS9A Micro-Clamp. The Micro-clamp is suitable for applications requiring micro-manipulation and micro-assembly of microscopic and particularly delicate scale objects such as optical fibers and biological samples. The gripping mechanism has been designed through the use of FEM analysis (Finite Element Method) and is actuated by different piezoelectrical actuators. According to customer needs, it can also be customized with position sensors, opening time, overall dimensions, gripping force, gripper shape, etc.